1 in 3 customers who migrated to the nbn in 2017 were left without connectivity - 20 percent were disconnected for up to 5 days; 10 percent lost connection for a month or more. 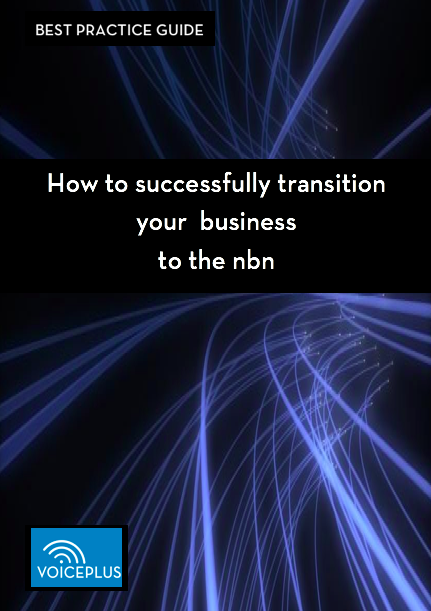 This Best Practice Guide is for anyone who is responsible for managing the transition of a business to the nbn. This guide also provides information on business alternatives to the nbn; and what to look for in outsourcing the migration process to a third party.